« Yoga through Sanford Adult Education returns in February! 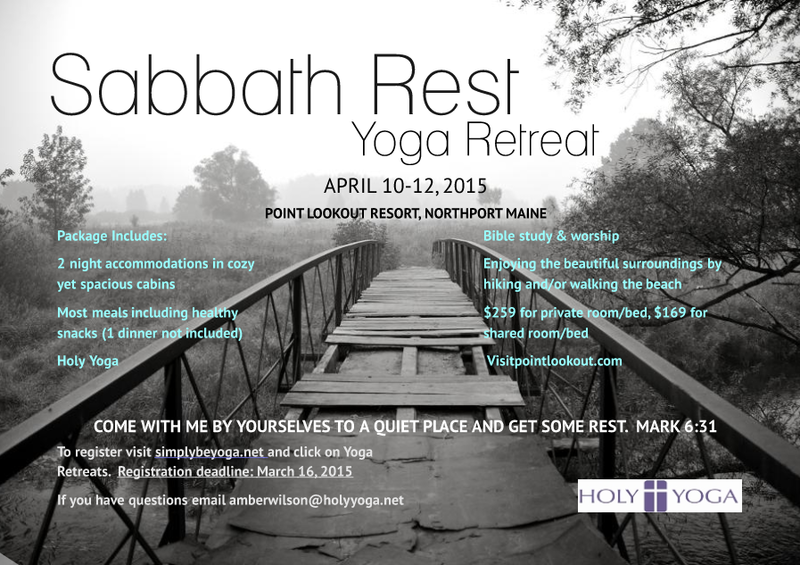 I’m so excited to announce that I’ll be assisting two other local Holy Yoga instructors in a weekend retreat here in Maine. Life is busy. Come away with me…you’ll be glad you did. I’ll be leading a bible study and two morning Holy Yoga sessions! Space is limited so sign up soon to guarantee your spot!